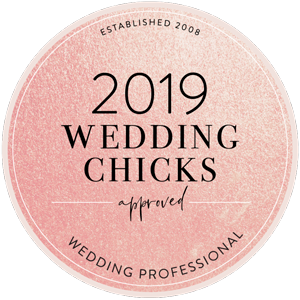 Tami Bernard is a freelance makeup artist located in San Luis Obispo and serves all of California specializing in wedding makeup and special event makeup using airbrush applications for your big day! Tami Bernard Nicholas is a San Luis Obispo based professional makeup artist specializing in bridal makeup. She is known for her HD ~ 10K camera-ready looks for photo shoots, engagement photos, and headshots, as well as, runway and editorial shoots. She is a versatile artist using both airbrush makeup and traditional makeup to achieve a fresh and radiant look. Her style has been described as “natural glamour” – bringing out the natural beauty of her brides while adding a touch of glamour for that special occasion. Tami has been trained in Los Angeles, New York, and New Orleans, and continues her education taking workshops and classes regularly, with some of the most respected and talented artists in the industry. Tami continues to keep up to date on all the newest techniques and trends in the Makeup Industry. In addition to working on all of her weddings, in the wedding offseason Tami loves working runway shows and here are a few she has added to her resume. NY Men’s Fashion Week 2018 Spring, 2017 Lead Artist Jersey House Reality TV Pilot; Women’s Couture Fashion week 2018 Spring, lead artist NY Couture Fashion week 2019 Fall, Lead Artist NY Couture 2019 Spring, Lead Artist Social Fashion week Los Angeles 2019 Fall, Lead Artist for 2019 Spring Paris Fashion week, Lead Artist for LA Walk Fashion week 2019, Lead Artist LA Fashion week 2019 Nancy Vuu Designs. Tami recently became published in Harpers Bazaar Magazine for designer Nancy Vuu; California Wedding Day Real Weddings Magazine 2018 December issue; California Wedding Day Magazine, January 2019 issue; Jolie En Style Magazine 2017 & 2018; I Fashion Magazine, 2018. Tami has had the pleasure of recently working with famous children’s photographer, Karolina Henke, with editorial shoots with celebrity children the Clements Twins, Ava & Leah and the Jellen sisters Sofia & Olivia. 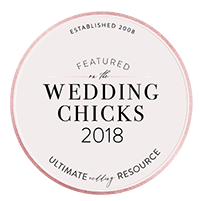 Tami was honored to be selected as a finalist in 2017 for California Wedding Day for two different counties in California and has also be selected on the California Wedding Day Haute List now every issue since December 2017. Tami is not only an amazing makeup artist, she is an amazing person. 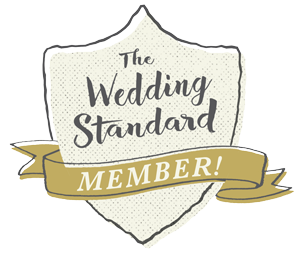 The calming demeanor and consistent energy helped my nerves on my wedding day. The day before my wedding she color matched not only my bridesmaids and I, but also my mother in law, my mother, my grandmother, three aunts, and two cousins. While she was color matching she made lipstick that complimented each woman individually, from scratch!!! Not only was it fun, this made the wedding day go very smoothly. The day of the wedding was jam-packed, but with the color-coded schedule that Tami created by getting in touch with the two ladies that were doing hair, it made the day go smooth without a question of where anyone should be at any given time. We had a total of 16 people get their makeup done by Tami and her assistant (lashes and all) and we were all out the door for pictures by 2:45pm (wedding was at 6:00pm). Everyone looks stunning… I can’t even begin to explain how beautiful each and every person was for the event. If you or a friend is on the fence about who to hire, don’t hesitate to choose Tami. She will blow you away.